With ZIP System Stretch Tape you can quickly flash tricky areas without piecing tape segments together. ZIP System stretch tape easily stretches to fit sills, curves, and corners with a single piece. Made of a high performance composite acrylic, ZIP System stretch tape conforms to challenging applications and locks out moisture even over mismatched surfaces. ZIP System stretch tape can be pulled up and reapplied for hassle-free installation, providing a tight seal in no time. Available in a 10″ tape at all Timberline locations . Zip System is a revolutionary structural roof and wall system that streamlines weatherization with an integrated air and water- resistant barrier. 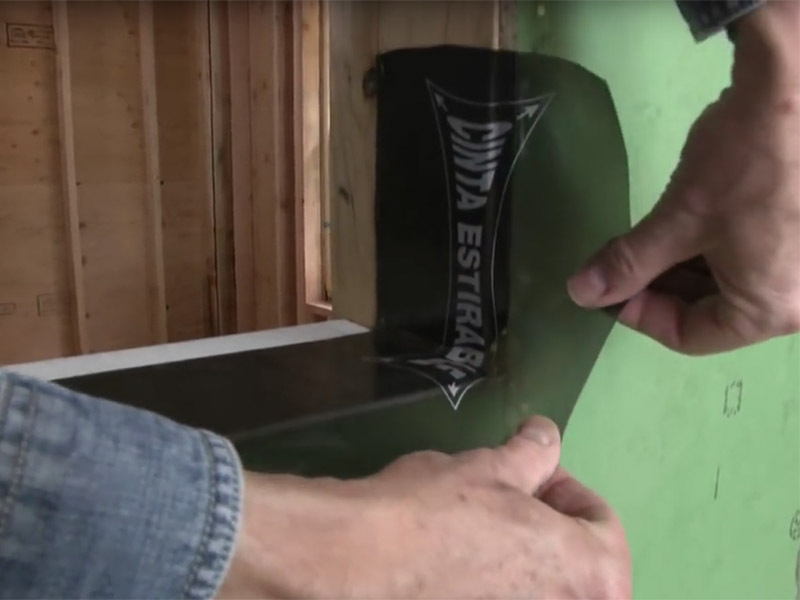 An integrated water- resistant barrier helps protect against water intrusion while still allowing the panels to properly dry.